Samsung has announced the expansion of its SMART series with the new NX2000 mirrorless camera. Equipped with a 20.3MP CMOS sensor and a large 3.7" 1,152k-dot WVGA touchscreen LCD, the NX2000 features full 1080p HD video recording and 8fps continuous shooting capabilities, 14 different scene modes, Wi-Fi and NFC connectivity. 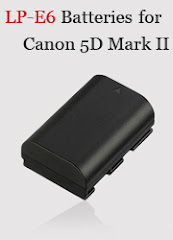 The camera is expected to be available in three colors, black, white, and pink, at around $650. Samsung Electronics Co., Ltd, a global leader in digital media and convergence technologies, today announced a new addition to its award-winning NX family, with the launch of the NX2000. A stylish, slim compact system camera (CSC), the NX2000 combines outstanding, professional results with revolutionary Samsung SMART Camera technology. Photos and movies can be captured with ease and immediately shared with friends and family in stunning clarity. The large 20.3MP APS-C CMOS Sensor in the NX2000, produced entirely by Samsung in-house, produces extremely sharp and highly detailed images. Even in low light conditions, images burst with color. Designed to continuously deliver high quality images, the NX2000's capabilities are boosted by its DRIMe IV engine which works to reduce noise, improve speed and enable superior color reproduction. With 8fps fast continuous shooting, the NX2000 can effortlessly keep up with the fast pace of life today, so that no moment is missed. Whether the subject is quickly moving or the photographer is on the run, the 1/4000th second top shutter speed makes taking clear, blur free images an achievable task, while the helps to deliver images that are beautifully balanced, regardless of the light conditions. The NX2000 works faster and harder to capture every detail, so people can re-live stories in dynamic realism. Ease of use is intrinsic to the NX2000 and the large 3.7-inch WVGA Full Touch Screen provides a convenient and intuitive navigation tool to access a range of features. Slim and modern, the bright screen is simple and quick to use, making it easier than ever to control all aspects of the camera. SMART mode provides even more options to aid you in taking the perfect shot, offering 14 different scene modes, a selection of settings which reflect your shooting environment and needs. Users can take photos of fast-moving subjects, such as a child running with Action Freeze or capture everyone’s “good side” with Best Face which takes five consecutive photos and lets the user select the best facial expression of each person in the picture. Users simply select the mode that fits their needs and enjoy the expert results. With a choice of 12 interchangeable lenses, aspiring photographers have improved control over the images they shoot with the NX2000. From ultra-compact pancake lenses and versatile zooms, to a premium portrait lens and a macro lens, the wide lens selection only enhances the photographic experience. Samsung’s innovative i-Function system allows users to further unleash their creativity by controlling various settings with the lens, such as the aperture or shutter speed, so professional-quality images are more achievable than ever. Breathing life in to images, the 3D Still and Movie Recording capabilities of the NX2000, when coupled with Samsung’s 45mm 2D/3D lens (sold separately), bring an added element of realism to photos and videos, which can be replayed and enjoyed on compatible 3D TVs. Full HD Video Recording ensures that movies retain the same level of detail, color and quality as stills, so users can view their story just the way it happened. Enhanced Wi-Fi Connectivity is at the heart of the NX2000, enabled by Samsung's SMART CAMERA 2.0 technology, offering a host of functions which make it easy to share and store images directly from the camera. The Samsung SMART CAMERA App, available on both Android and iOS platforms, provides a streamlined way of linking smart devices, ensuring that every tech savvy user’s treasured memories are stored without fuss. AutoShare sends photos, as they are taken, directly from the NX2000 to a smartphone or tablet, via a direct Wi-Fi connection. Special memories can be shared instantaneously from the smartphone when users aren’t connected to an access point, and images are also instantly backed up for those who are constantly on the go and don’t have time to worry about storage. 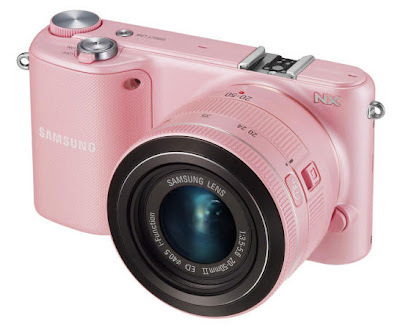 The NX2000 (MSRP: $649.99) will be available in white, black and pink from authorized Samsung retailers nationwide and at www.samsung.com.